You have practiced typing home row keys in various combinations — and now it's time to practice nine together! 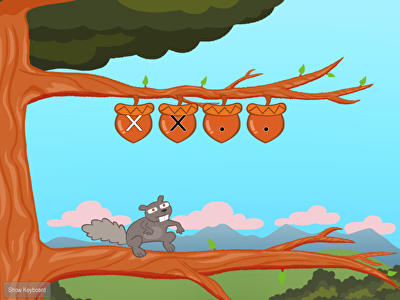 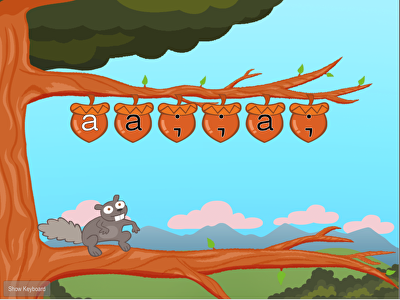 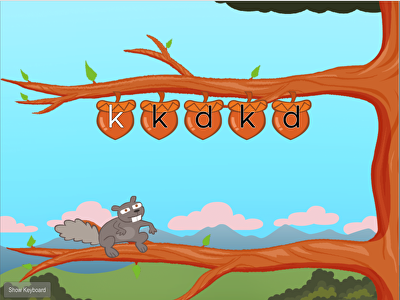 Practice bottom row keys X and period and help Squirrel fly from tree to tree collecting nuts. D, K, and mine! 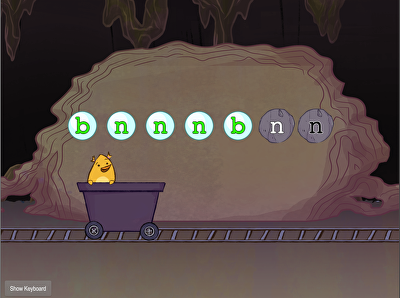 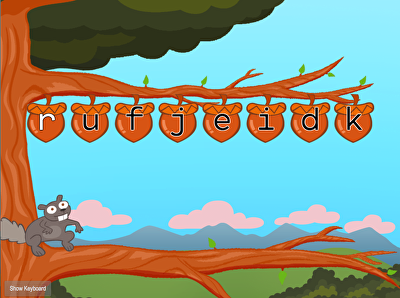 Help Birdee collect gems as you practice your touch typing accuracy skills. Hitting home row letters to the far left and the far right give pinkies the typing practice they need to be comfortable with the letter a and the semicolon. 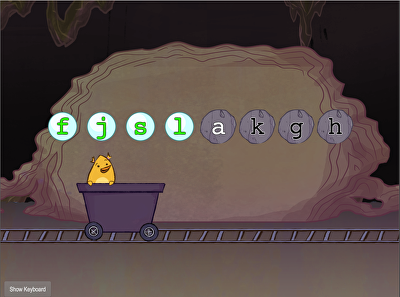 Practice typing the z and slash keys.